This perfectly pink Chicago Bears mug is a lady fan's delight; what a wonderful way to show your team spirit with a dash of feminine flash! 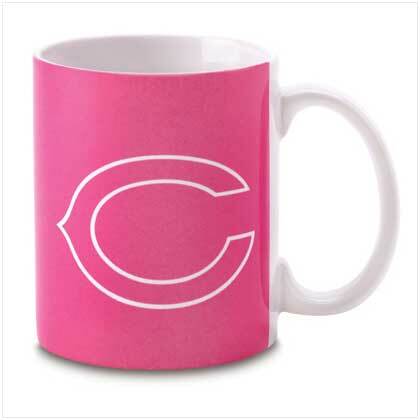 The official Bears initial takes on a fresh new look when emblazoned on the bold pink background of this stylish mug. Ceramic. 3 1/4" diameter x 3 3/4" high. Microwave and dishwasher safe. Retail Price: $12.95. This product was added to our catalog on Monday 13 October, 2008.